And to both of you...I was not kidding. Sometime after school is over Mama needs a break! Don't forget to link out to Supah to play this or other awesome reindeer games! Good Morning! 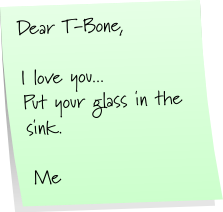 I'm a Sticky note Tuesday virgin just stopping by to share some comment love. Have a great day! Congrats on the 50 followers! 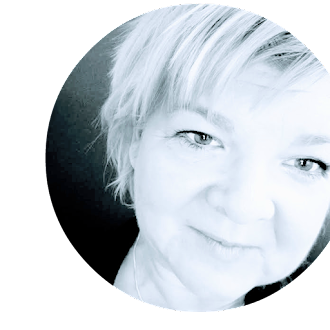 It is great to have people read your stuff. I love the notes! 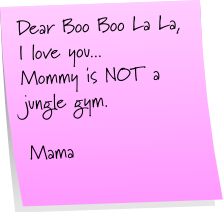 My boys think that Hubs and I are both jungle gyms. SIGH. I hate being a jungle gym to my kids. They typically do that when they aren't feeling very good, so they just want to play on ME. 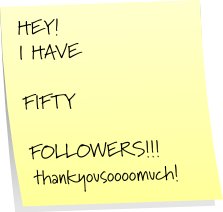 50 FOLLOWERS BABY.. I SEE 52 OVER THERE! ALTHOUGH that could be because it took me 7 days to get here..
IM HERE THOUGH !! I MHERE !